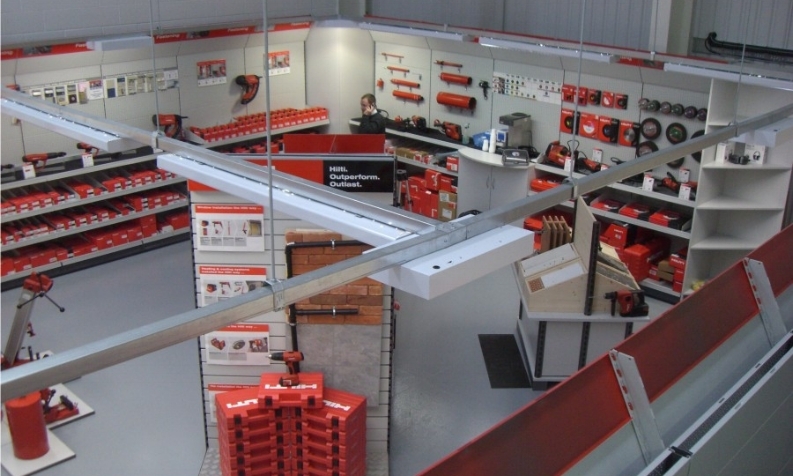 Kiwi Design completed the fast-track fit-out of an empty industrial shell into the first of a national scheme to re-design Hilti Tool Trade Counters into Hilti Trade Showrooms. Not only did Kiwi fit-out the showroom and trade counter but we also installed an area of prime office/meeting space to a first floor mezzanine area. Kiwi supplied and installed all aspects of the turn-key operation from floor coatings and partitioning to lighting, electrics and HVAC. Hilti Tools stated that the project has now set a precedent for all new Hilti Stores.